Would you like a bite to eat before departure? Or a cup of coffee if you are dropping off or picking up passengers? 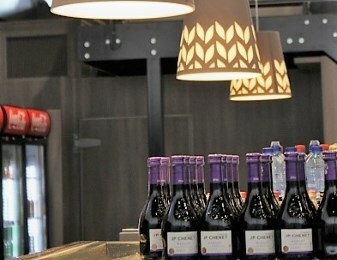 The menu of the renewed Travel’Inn Grand Café offers various sandwiches, wraps, soups and other hot dishes. But it also has snacks to go with coffee. 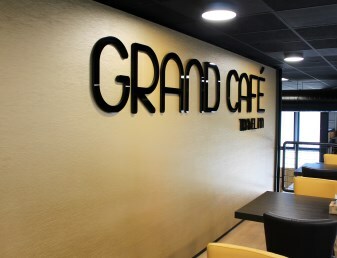 The Grand Café is located on the first floor of the passenger terminal and is accessible by stairs or by lift. Once your luggage is on its way to the aircraft, you’ll not want for anything in the departure hall (after the security check). At the Travel’Inn Bar, you can choose a draught beer or coffee with a snack from the light menu. Bottled drinks and food that you buy here may be taken on board of the aircraft. At the AKO Shop in the departure hall (after the security check) you can buy everything for a relaxed trip. 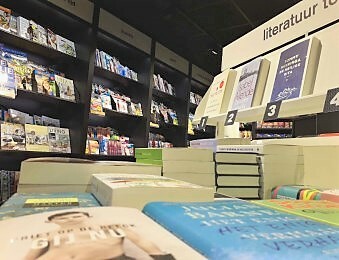 Besides drinks, sweets, tobacco and a perfumery department with all the top brands, you will find a wide range of books and magazines here. Whether you are an avid reader or not, time flies with a good book or magazine. Carefree travel begins with good preparation. What do you take with you on holiday? What shouldn’t you forget? What time should you be where? And what facilities are available at the airport? We give you an overview of all information. Nice and easy, right?